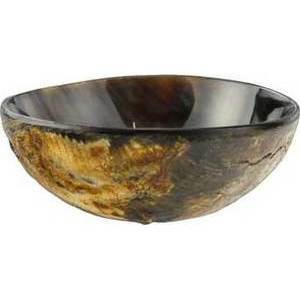 A 3 and 3/4 inch carved and polished bowl made from horn with a smooth finish. An excellent vessel for altar offerings and ceremonial use. May be used as a scrying bowl. Stands 1 and 3/4 inches tall. Made from natural horns which are not perfectly round so each bowl is unique.